There was an article in the BBC recently about how the World Health Organisation has classified gaming addition as a disorder. Symptoms of video game addiction include “impaired control over gaming (frequency, intensity, duration);” “increased priority given to gaming;” and “continuation or escalation of gaming despite negative consequences.” I would add a few additional ones based on personal experience over the last ten days: persistent soreness in your dominant iPhone wrist, an ache in the shoulders, and a dull headache at all times. It all started when I read this AskMetafilter post on Boxing Day. Someone was looking for a Bejeweled clone for iOS that had no ads, cool-down periods, or in-app purchases. I’m a Bejeweled fan from way back – I wrote a post 17 years ago about my scoring strategy! – so this question appealed to me. The casual games I’ve been playing for the last couple years are Angry Birds Pop and Panda Pop, which are fun Puzzle Bobble-type clones but riddled with all the negatives mentioned. So when the very first comment mentioned two matchy puzzle games with light RPG elements? I was ALL OVER IT. 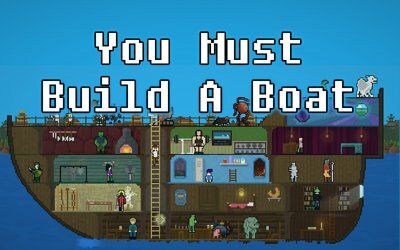 The second game that was recommended is You Must Build a Boat, which is actually the sequel to 10000000. (It came out a few years later.) 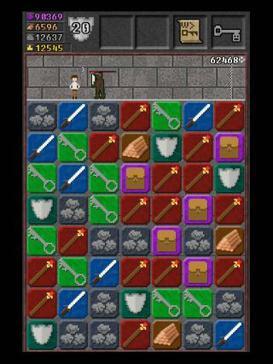 The basic mechanics are the same – you still run through dungeons and match tiles to battle monsters and unlock chests. There are additions though – the most fun of which to me was domesticating some of the monsters to become my crew and then summoning them to my aid with a magical kickass horn whenever I was about to die. I also found the dialogue of the NPCs really funny, like the guy who just says “Hmph” and the seemingly useless garden lady. I stretched this game out over two days before I got to the East Wind, and then I accepted the option to start over on a harder level. I’m going slower this time. It’s still fun and awesome. And there are daily challenges to keep you coming back! Highly recommended. A few days ago I was telling my friend Peggy about these games – again, in a pathetic attempt to hook other people so I wouldn’t feel like such an obsessed loser – and she in turn told me about her favourite casual game: Twenty by Stephen French. “Oh really?” I said. “Maybe I’ll check it out.” FAMOUS LAST WORDS, PEOPLE. This game is so, so addictive. All you do is drag tiles around to match two of the same number together. When you do, they turn into one tile and increment. Over time though, more rows appear at the bottom of the screen, and if you get to the top the game is over. There’s also a diabolical mechanic where at higher levels some of the blocks are “locked” together so you can’t move them around without first unlocking them. It’s frustrating and brilliant. 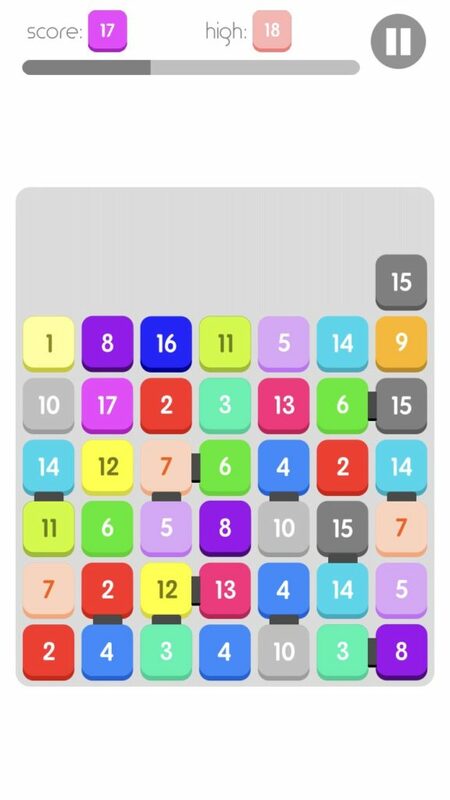 The goal is to get to a 20 block, but so far my highest is only 18. Oh! and there’s evidently a 2-player mode, but I haven’t checked that out yet. And did I mention you can play it online? Goodbye, productivity. Now that I’ve exorcised my own demons, it’s time go cold turkey for a while… Wish me luck! Next Some lovely person sent me a beautiful piece of art! There was no note. Was it you?